Kotlin, a language for the Java Virtual Machine and browser, does a lot for us to reduce Java boilerplate. But what is it really doing? We will be inspecting some Kotlin decompiled into Java to discover how it does its job. By looking underneath at how it handles data classes, lambdas, and delegation, we can better understand how the language executes what we write. If you're just learning about the language, or already using it in production, you should walk away from this investigation with a deeper understanding of Kotlin, and some tools for continued exploration. 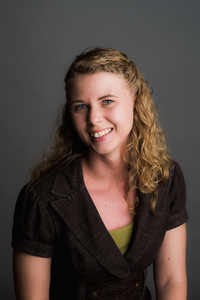 Victoria is a software developer at Collective Idea, building mobile and web applications. She is passionate about using technology to help better the lives of individuals. Studying both Computer Science and Dance in college, she now enjoys digging into dance technology, and keeping up with dance classes in her spare time.